Years ago, when I was a freshman at Samford University, in Birmingham Alabama, I loved shopping at the Galleria Mall. 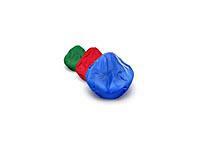 My favorite store was by far, The Bean Bag store. Being a poor college student and all, I knew I could not afford a bean, much less a bean bag chair. However, Dickie Feldman, the owner of the store was incredibly kind and always let me sit in the bean bags for as long as I liked. 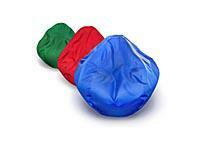 One day he asked me why I hadn't bought a bean bag chair. I responded that I was broke. He thought for a moment, then asked me if I liked to baby-sit. I said, "definitely!" Well to make a long story short, I baby-sat his three precious children in exchange for a wonderful navy blue extra large bean bag chair. It quickly became a popular gathering spot for the girls in my dorm. 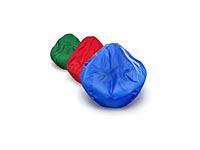 I loved it so much that I ended up working at the Bean Bag store. I worked there on and off until I graduated from college. After graduation I moved to Maine and worked at Chop Point, a wonderful Christian school and camp. After working there for five years I was involved in a horrible accident. I fell off of a 22 foot cliff and broke 10 bones, all on my right side. It took me more than a year to walk normally. To be honest, I was pretty depressed and no longer had the energy to work with youth. I pondered and prayed about what I could do for work. I wanted to do something I loved. 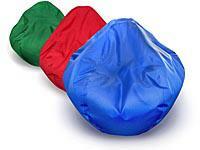 And, as funny as it sounds - I loved bean bag chairs! 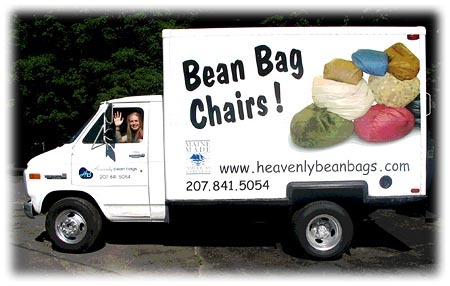 I decided to call Mr. Feldman (the owner ofThe bean bag store in Birmingham, Alabama), and ask him if I could start a business here in Maine. He said YES! I started out selling them to friends and family, then moved to a small shop in Bath, Maine. I married my husband, Matt, who came right along side of me and helped make the business what it is today. Eventually we ran temporary kiosks in Brunswick, Auburn and Portland. Now that our children have entered the picture we stick pretty close to home, Belfast, Maine. 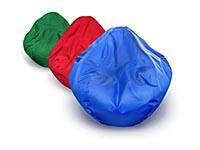 I never stopped loving my navy blue bean bag chair, and my love for the product makes them really easy to sell. I can not end this story without giving all the credit to Jesus Christ, who knew he had a perfect plan for me (Jeremiah 29:11) though I had no idea what it was.